Baking soda is a pantry staple in many households, and for good reason. You can use baking soda as an inexpensive and safe alternative to the pricey and chemical filled products that overflow the shelves of most stores. But even more importantly, baking soda packs major health benefits. 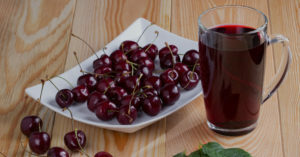 It can help you whiten your teeth, exfoliate your skin, and even treat the symptoms of gout. 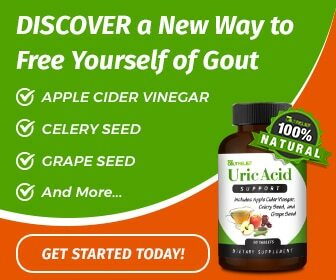 How exactly do you use baking soda for gout? Read this article and we’ll detail for you how this natural remedy can help to quickly alleviate your pain. Gout is a form of arthritis that occurs when there’s too much uric acid in your blood. The uric acid forms sharp crystals in one or more of your joints. This formation leads to intense pain, discoloration, and swelling in the affected area. Gout mostly occurs in the lower half of your body, primarily in the knees, ankles, and the joint of the big toe. In some patients, a hand, wrist or elbow is also affected. Gout usually spreads like this when the illness is left untreated. Gout flare-ups (or gout attacks) can vary in their pain levels. Sometimes the sensation will be sharp, while it can feel more dull at other times. The amount of time a gout attack will continue tends to change from person to person too. 7 – 10 days is the average length of time for a flare-up. Many patients report having their most extreme pain within the first day or so of the flare-up. Things like diet and lifestyle also play a role in the intensity of pain. Gout attacks usually begin with sudden pain in the joints in the middle of the night or very early in the morning. Although it hasn’t been proven, it is believed that this is caused by the lower body temperatures and cortisol levels that occur at night. Nighttime dehydration is also thought to be an underlying cause of gout attacks coming on during these hours. People with gout should always try their best to stay hydrated as dehydration is one of its triggers. During a gout attack, you may notice that the affected joint is tenderer than usual. It might also be inflamed and even feel warm to the touch. In most people, the skin will turn a red or purplish color. It can help to elevate the inflamed part of your body and put ice on it (you can put ice and a little bit of water in a 1 gallon ziplock bag, wrapped in a towel). Stiff joints make it difficult for people to move during a gout attack. Some of us are even confined to our beds for a couple of days (this is the worst!). With the joint stiffness, you might hear a cracking or popping sound when you try to move the area of your body that’s affected by gout. 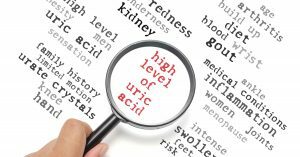 High uric acid levels begin when your kidneys don’t properly rid your body of uric acid. The first thing you should do is remove foods from your diet that are uric-acid-causing, such as shellfish, bacon, turkey, and alcohol. Gout also commonly occurs in patients with type 2 diabetes. Just as having gout increases your chances of getting type 2 diabetes. Other medical conditions that can cause or worsen gout are untreated hypertension, metabolic syndrome, and kidney disease. When gout is left untreated, the crystals that build up can form lumps around your skin called tophi. Tophi doesn’t generally hurt, but the lumps will affect the way your skin looks. Additionally, if the crystals continue to build up, they can make their way into your urinary tract. This action can possibly form kidney stones, which are painful to pass. If you have been diagnosed with gout, you probably already know to contact your doctor when you think you’re having an attack. If you think you have this condition, you need to talk to your doctor about getting diagnosed and learning about the severity of your condition. In the meantime, while you’re waiting for your appointment, there are some home remedies you can use to minimize the pain and swelling. 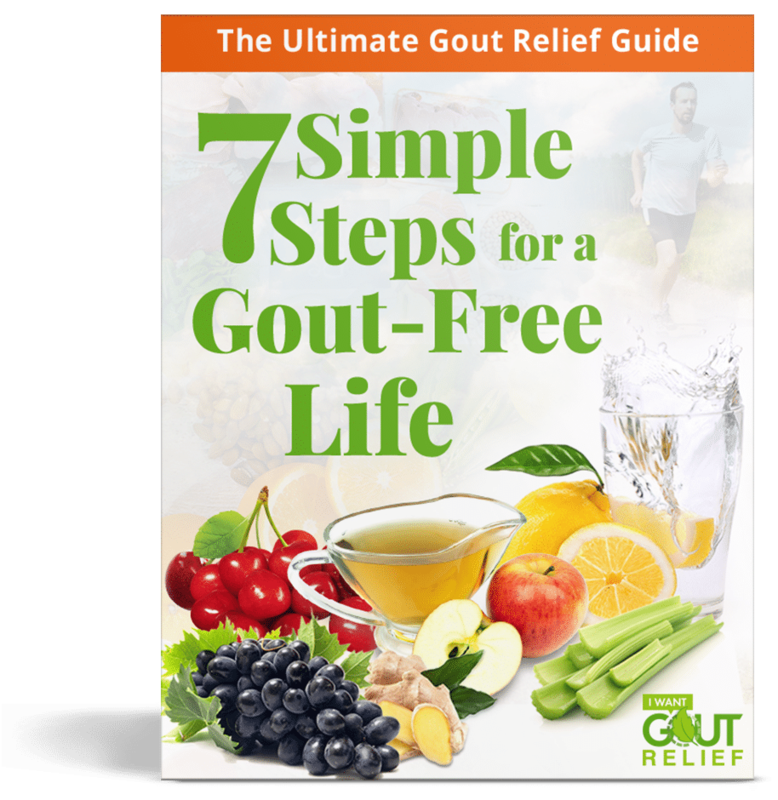 Properly managing these gout symptoms will lessen the time that gout takes from your day to day activities. Gout is an illness that should be treated as early as possible. Back in the 19th century, a British doctor named Alfred Garrod (also a physician to Queen Victoria) learned that the best way to treat gout is to alkalize the blood. Your body is best protected from gout when your pH levels are raised by items like baking soda. 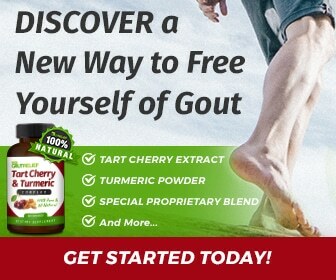 For some people with gout, this works within a couple of hours. For others, it can take up to a week. 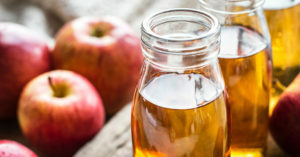 Because gout flare-ups are likely to occur when you’re in bed late at night or early in the morning, it’s best to use this remedy before you go to bed at night. It’s easy to make and won’t require much time to add to your nightly bedtime routine. Add half a teaspoon of baking soda to one, 8 ounce cup of water. Stir the baking soda in until it completely dissolves. You won’t like drinking this if the baking soda isn’t fully dissolved. The texture can be a little chalky. 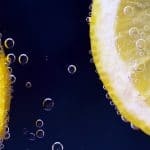 When you’re finished, you can drink the water and baking soda as is, or squeeze a citrus fruit like lemon, lime, or an orange into the mixture for flavor and a boost of Vitamin C, which is also known to help treat gout attacks. Please keep in mind that since baking soda is high in sodium, it’s important to only drink this mixture in small doses. So, even if you prefer to drink the baking soda water multiple times a day to control your gout, decrease the amount of baking soda you’re using to about 1/4 (or lower) teaspoon for each cup. Also, be sure to reduce the amount of salt you use in your food when you’re using the baking soda treatment. Instead of using salt or products that contain high amounts of it, you can flavor food with natural herbs. To increase the effectiveness of this remedy, make sure you are still eating properly to maintain your gout. These practices are important to maintain even when you aren’t having an attack as they can help protect you from future ones. 1.) Stay hydrated by drinking plenty of water throughout the day. Put a limit on sweetened drinks like soda and juice (and completely avoid anything with “high fructose corn syrup”). 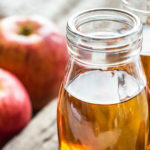 If you grow tired of plain water, try infusing it with fruit to add a fruity flavor without the high sugar content or high fructose corn syrup that comes in a variety of the options on the market today. Other healthy ways to stay hydrated are by eating strawberries, watermelon, cucumbers, celery, and lettuce. 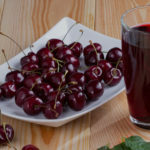 These foods also fill your body with other vitamins and nutrients to improve not just your gout attacks, but your overall health. 2.) Consume low-fat dairy products like yogurt, skim milk or 1% milk, cottage cheese, and kefir as your main protein sources. These foods have been known to protect your body from gout and reduce the severity and amount of people’s attacks. 3.) Maintain a healthy weight. If you are overweight, you will automatically have higher than normal uric acid levels. When you get to a healthier weight, your uric acid levels will become lower. These lower levels will help decrease the severity of gout in your body. If you are dieting to lose weight, make sure you are going about it using healthy methods. Don’t fast or engage similar practices to lose the extra weight quickly. Rapid weight loss isn’t safe, even for people without gout. When you have gout, those activities can cause a spike in uric acid levels and trigger painful gout attacks as well. Do it more gradually over time. But by all means, get serious about it! 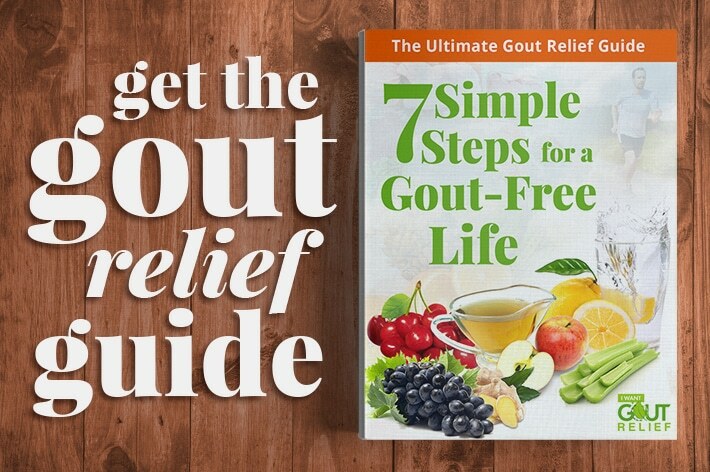 Our mission at IWantGoutRelief.com is to help gout sufferers like yourself find relief in the healthiest and most simple of ways. 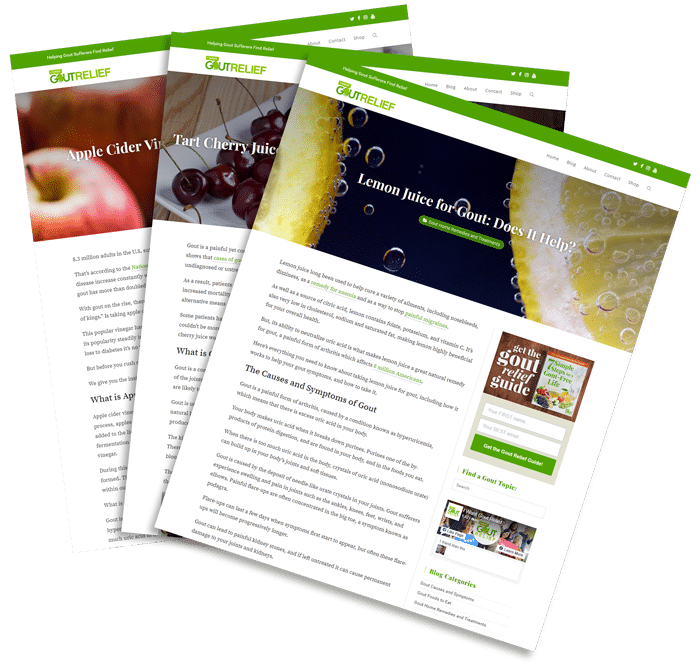 So, even if baking soda isn’t necessarily your favorite remedy for gout, you can find a wide range of other gout remedies on our site. Just make sure you follow our blog so you don’t miss any updates!